Moroccan striker Youssef En-Nesyri is the first leganes player to score three goals in one game, namely during the match played against Real Betis on Sunday, reports Futaa. En-Nesyri scored the first goal in the 22nd minute, and the second one before half-time. He scored the third goal one hour after the start of the game, the same source said. «It wasn't a personal success, rather a collective team effort and scoring a hat-trick will always be one to remember. I feel happy to be the first player to score a hat-trick but it took the collective efforts of those with me on the pitch, others on the bench and our fans inside the Butarque [Leganes stadium] to make it happen», the striker said after the match. 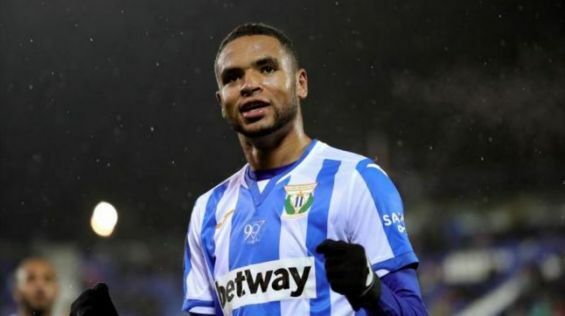 En-Nesyri joined leganes in August after he was playing for Malaga. He joined the Atlas Lions during their appearance in the World Cup in Russia and managed to score a goal against La Roja.